Note charts are lovely. Note charts are your friend. Note charts are a crutch that turn music games into Simon Says. Music is as much about creation and ad-lib as it is slavishly recreating a melody, and Gal Metal wants you to be able to play with the music rather than simply follow instructions. It asks more from the player than a standard music/rhythm game, but by doing so delivers a different kind of music game. 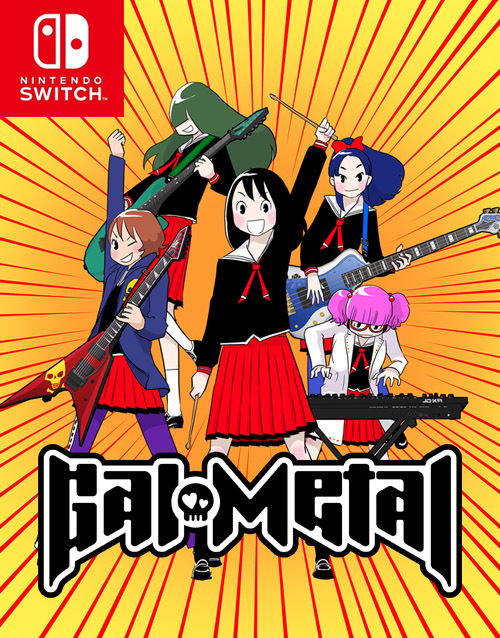 Gal Metal is simple on the surface and just about anyone should be able to clear the story mode, but maxing out the scoring on a song requires exploring the rhythm of the drums and diving into a set of mechanics that really should have been explained somewhere in the game rather than as a link in a Tweet from the game’s creator. 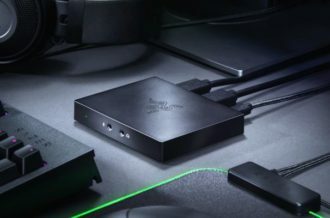 The standard music game in the last few years has been arcade-style, focusing on gameplay above all else in titles like Rock Band, Rocksmith, Musynx, etc. 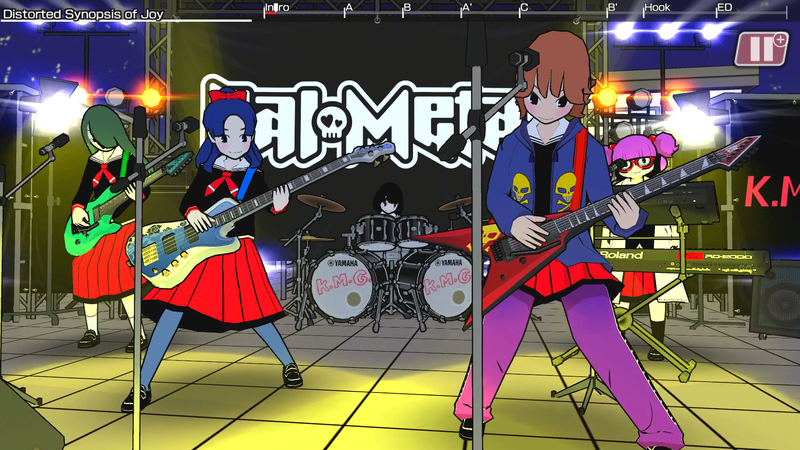 Gal Metal takes the other track, providing a story that links its songs together in a style more like Parappa the Rapper or Osu Tatake Ouendan, with the story leading from one song to the next as the track list grows. A nameless male student is abducted by octopus-aliens together with Rinko, another student who’s the drummer in her all-girls school band club. 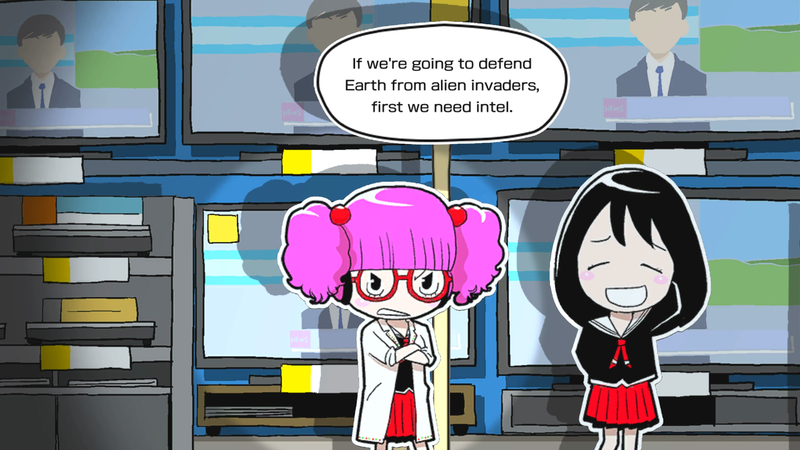 The aliens merge the two into Rinko’s body, giving the boy control while Rinko provides commentary, and together they’ll need to lead the band in a fight to exploit the aliens’ one weakness- the power of metal. What on earth the male is doing there is anyone’s guess seeing as he didn’t have any musical skills before the abduction and he adds hardly anything to the story, but he doesn’t hurt much of anything either so… OK. One tutorial later covering the basics of drumming and the adventure kicks in, featuring a combination of hanging with friends after school to boost point-enhancing stats and performing concerts to repel the goofy cephalopod aliens who want to destroy the Earth. 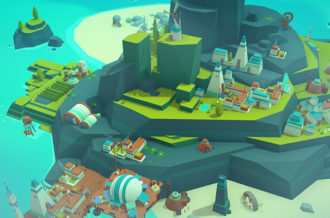 Each of the thirteen songs in the game gets a chapter of story leading up to it, starting with a comic going panel by panel to the beginning of another school day, then a brief text-message chat with the other four band members and finally free time after school where you can choose from a variety of activities on the town map. Rinko has forty energy points to expend each day, and activities like work pay off nicely with a big stat boost but cost ten points of energy, while hanging with friends is a smaller pay-off but also cheaper on the stamina requirements. As you hang out or work with the band members Rinko’s relationships get stronger, triggering adorable mini-scenes that looks like paper cut-outs over a cardboard theater, complete with little sticks holding up the characters and other effects. Managing time to boost the five stats is honestly simple so long as you multi-task a little and pay attention, and once you’ve used all stamina points for the day it’s either time for the next school day to begin or engage in a heavy metal face-off with the invaders. Rinko is a drummer so that’s what you’ll be doing as the rest of the band plays around you. There are three different ways to drum, with the default being the motion controls of the Joy-Cons, but both touch screen and standard controller button options are available as well. Swinging the right controller acts as a hit to the kick drum, left is snare and the two together is a cymbal crash. If motion controls aren’t your thing the touch screen is a great secondary option and it’s got a larger selection of drums to boot. The extra drumming options are logically clustered together to fit under the category of kick drum, snare, or cymbal, but it’s nice to have different sounds available to play with. It’s also a lot easier to play on the go if you don’t have to set up the Switch and wave your arms around, which can be awkward in any number of possible situations. At the song’s start Rinko clicks her drumsticks together four times to set the tempo of the tune and it’s important to pay attention to this. You can hit the beats any way you like, but not only is it going to sound terrible if you’re out of rhythm, but the score will tank as well. This is where the different drum rhythms come into play and where Gal Metal starts showing its teeth. The four-click kick-off sets the pace of the song no matter what the instrumentation may sound like and you’ll need to pound out drum measures that fit within that tempo. The simplest is four hits on the kick drum, thump-thump-thump-thump, and the second measure you learn is alternating with snare, thump-pam-thump-pam. Simple as these are you can get a lot of distance from them, especially if you alternate back and forth between the two. The cymbal counts as a hit on either snare or kick drum and is best used at the start of a measure. Initially there are only two measures open but more pop up as you play, primarily by messing around with different beats, and once you’ve performed a measure whether intentionally or by accident it shows up in the practice mode so you can properly learn it. Each song has Hot measures you can learn in the practice section, recommended beats that fit best with the music, and they can get fairly convoluted. A measure has space for 16 notes and a good drummer will build up solid mental library to pull from, but it requires practice to get these rhythms down. In more ways than one, because Practice mode is the only one that lets you see the rhythms you’ve discovered. 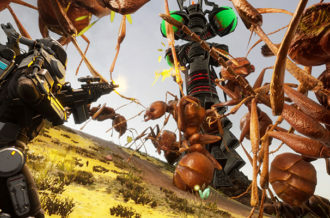 In regular play, whether facing off against the aliens in Story Mode or aiming for a high score in Free Play, the only thing you bring with you are your drum sticks and the knowledge earned by experience. 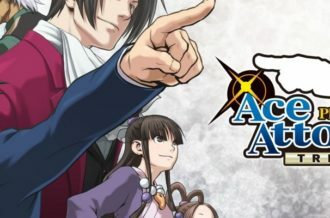 While this may sound hard the first time through the story is basically Easy mode, with the scores required to clear the showdown at the end of a chapter being low enough that you can get by with just the first two measures the game teaches you. Honestly, it’s all fairly simple so far — bang out simple rhythms, clear the story. The real depth of Gal Metal, however, is hiding outside all this. The score for a measure the first time you play it is high, but it drops if you repeat it twice in a row, so even something as basic as alternating between two simple measures can have an amazing effect on your performance. Measures come in different categories for different types of rhythms, color-coded for your convenience, while songs are divided up into sections. Similar sections want rhythms from the same category (section A and section A’) while a new section (like section B) scores best by changing the rhythm to a new category. You can rack up a massive score by memorizing two rhythms from two categories and using them in the right sections of the song, but mastering the game means knowing a good selection from several categories and being able to swap them out at will. Or you can just have a fun time beating on the drums. The depth is there if you want to access it, but it’s not a requirement. Gal Metal breaks a lot of rules that have been standard in the music/rhythm genre, but with good reason. 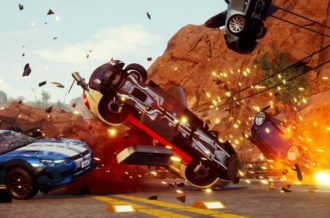 The aim isn’t to give the player a set pattern, but rather let them create their own, turning each new play of a song into a unique performance. How well this works depends completely on the time you’ll want to put into learning its rhythms, but the thing about music is that it’s as complicated as you enjoy making it. Learn a few basic rhythms and mix them up a little now and then? OK, that’s fine and can pay off nicely if you can pound them out without too many errors. Want to dive into all the options and create your own beat structure within the constraints of Gal Metal‘s thirteen songs? That’s good too and honestly it’s something I’m still working on. Music is fun to play with whether you skim its surface or try to wring every option possible from the depths of your personal creativity and drums are particularly satisfying because pounding on things (even nonexistent air drums) is always a good time. Gal Metal’s fun, silly story is a super-cute gateway to the driving rhythms of metal drumming, and once you’ve got a few rhythms in your head, it pays off in a way that makes you want to learn more.